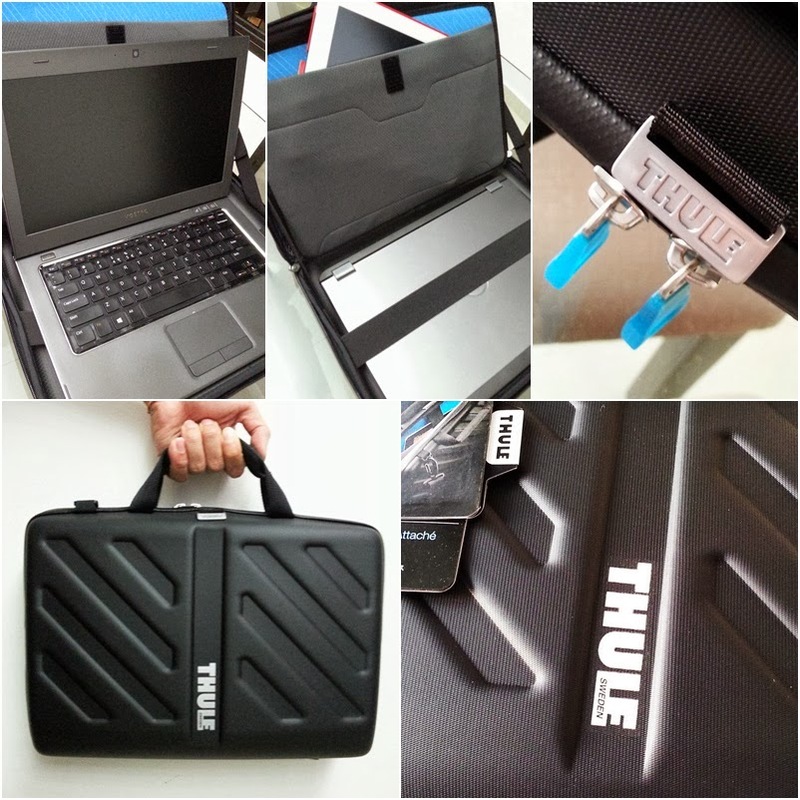 Fell in love with THULE bags and decided to score this THULE 15" Gauntlet laptop case for my Dell laptop, iPad and Tab 7.7 at only S$59! Babies love sitting upright and it is adorable to see your baby sit upright despite that they can't really yet. 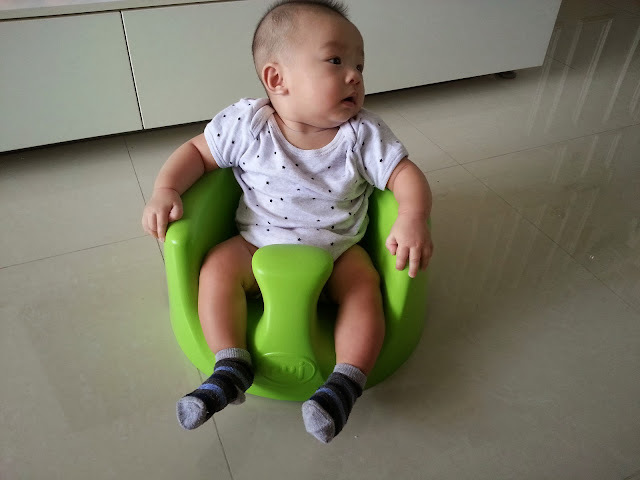 I have heard that foam chairs for babies are really great and give good support to their back. 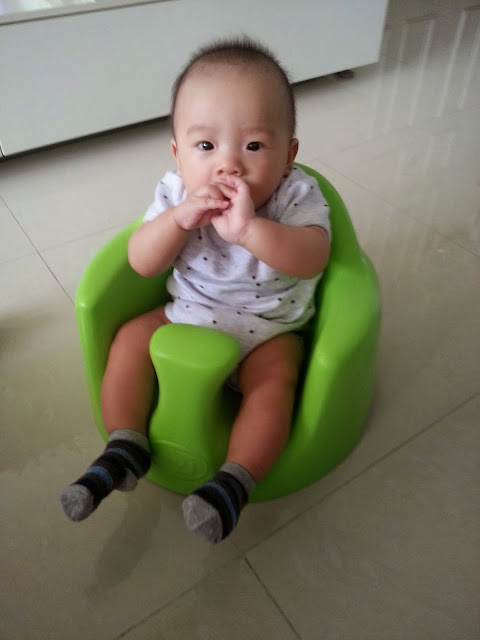 I tried the Bumbo support baby chair meant for infant to toddler at Mothercare which cost $90 over. The chair was a little too tight for my 4 month old baby. I knew no way it can fit a toddler. I was surprised since it was meant for caucasian kids. I looked up PUJ from South Korea. PUJ had a similar chair like the Bumbo. The chair costs S$39 and optional table tray costs an additional $10. 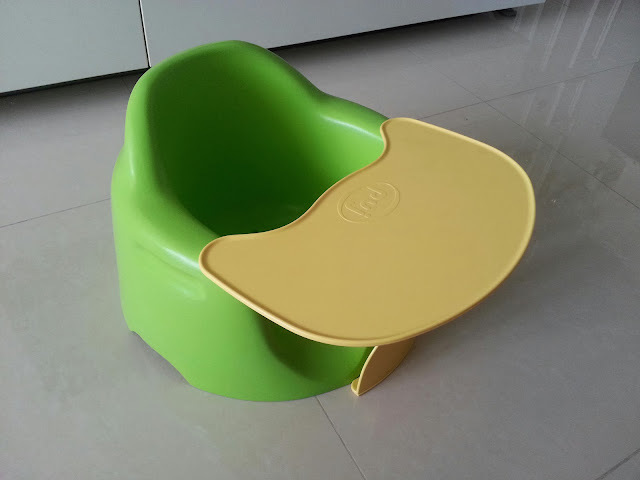 With EMS air-shipping at $10, the chair arrived within days from ordering. You can add on an additional stylish carrier bag for $15. That is way too cheap! 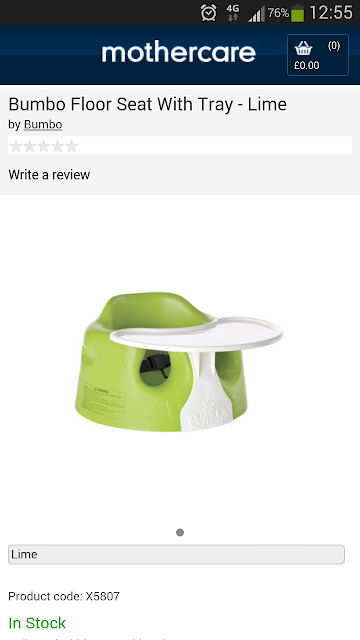 The chair has 3 holes for ventilation and to prevent the baby bum from getting sucked by vacuum. The Bumbo comes with a seat harness but not the PUJ. My 4-month old prince can now sit like a king in his throne. 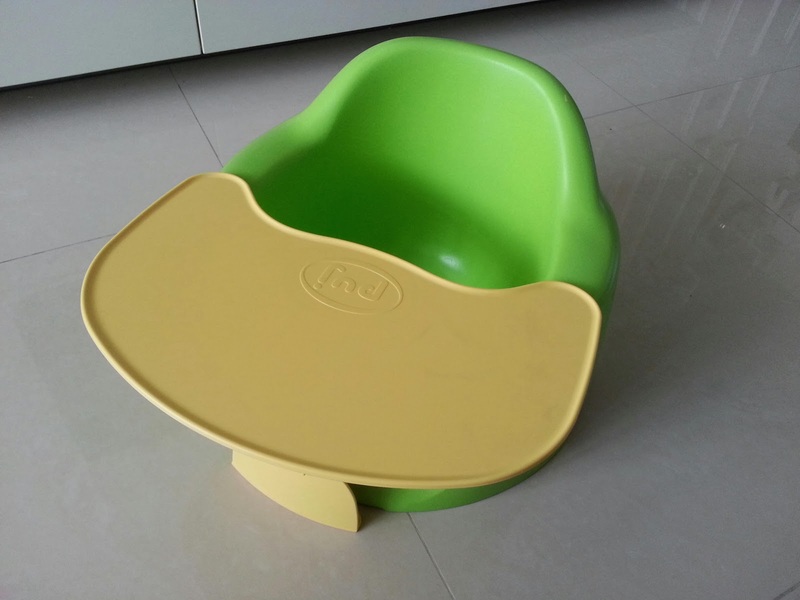 The baby can sit comfortably and securely yet with some space. 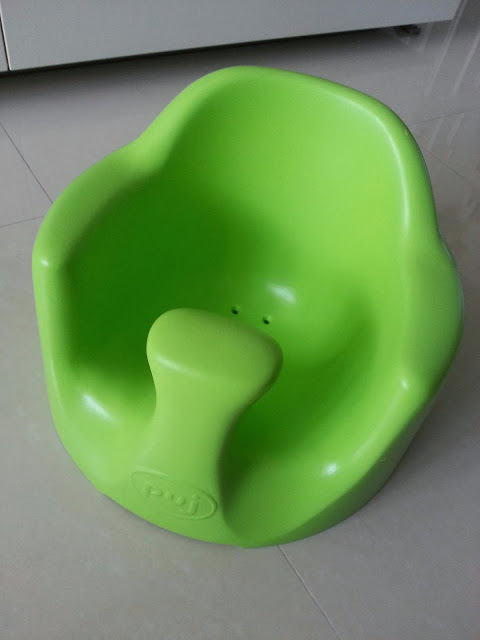 There are four chair colors: Lime, Baby Blue, Pink and Yellow. 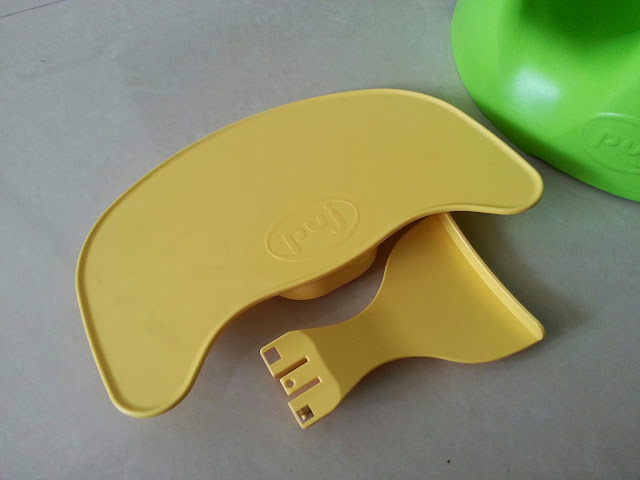 There are two table tray colors: Yellow and Pink. Pick and choose your baby throne today!